The MTA Long Island Rail Road, founded in 1834, is the busiest commuter railroad in North America, carrying about 265,000 customers each weekday on 735 daily trains. The LIRR system is comprised of over 700 miles of track on 11 different branches, stretching 120 miles from Montauk - on the eastern tip of Long Island - to Penn Station in the heart of Manhattan, and Atlantic Terminal in Brooklyn. 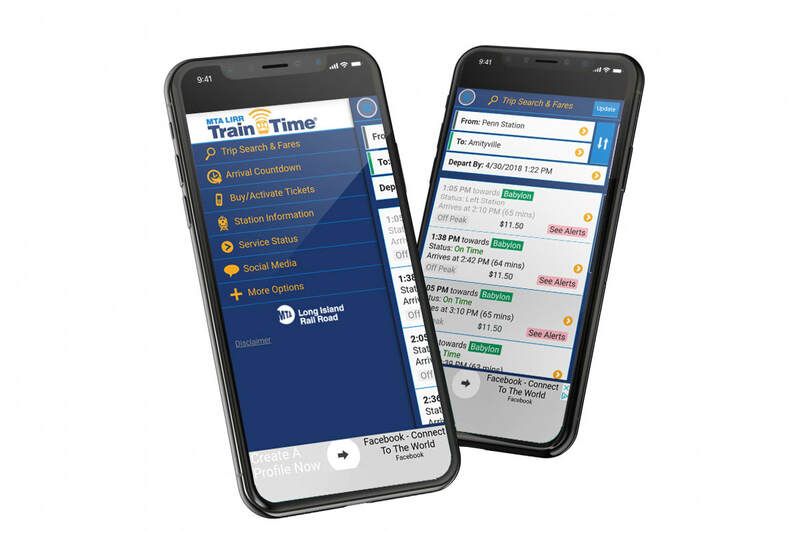 The MTA Long Island Rail Road TrainTime App is the official source of information for LIRR customers and provides LIRR trip search and fares, station information, service status, social media links and MTA accessibility. For the past four years, I have been commuting from Long Island to Manhattan. As a regular commuter, I frequently use the MTA LIRR Train Time application to check train times arriving to and departing from Manhattan. From the time I first downloaded the app in 2014, there has not been any updates or improvements. I have voiced (along with many other exhausted commuters) how I wish there was a way we could improve this service. Then it clicked. Why not improve the MTA LIRR app and create new features that could resolve the issues? I decided to find areas that could use improvements and fixed the app with some new design solutions. As an avid user of the MTA LIRR Train Time app, I noticed that the design is outdated and the interactions within the app are confusing to new users. To come up with solutions for these issues, I decided to research what made the app successful and what it was lacking for users. ​ Using the data I collected, I conducted individual interviews to confirm if these were the issues I should be focusing on. The majority of people using the app are commuters. Their main complaint was the lack of features the app has to offer. They wanted the app to have more real-time features that could inform them of delays instead of getting to the station to be informed. These people were the most confused with the app compared to the other groups. They didn't understand the differences between train lines and if there were alternate routes to their desired location. They ended up using other apps to figure out the train system. They wanted to have features that could easily be deciphered for new-users to navigate through the app. I took note of their suggestions and the features they wished to see in the new design. This data helped me expand on the existing ideas and confirm that the new design solutions would be useful. First, I conducted a full-site audit, going through the app page by page. Next, I went through the navigation, laying out all of the categories to see what patterns, themes, and insights could be improved. My first idea was to create a log-in page where all your information would be stored. This would include credit-card information (for ticket purchases), the train lines you take, and so on. This could be customized to your liking. However, as I started to conduct interviews and reviews on this design, most users didn't like having a log in. They were worried they would get logged out and would not be able to get the train times immediately. Most wanted immediate information as they open the app and thought logging in was an unnecessary step. After the feedback on the login page, I went back to create a main page that was informative, but not too overwhelming. The initial idea was to have an interactive map where you could select each station you want to depart from and arrive to. There would also be specific buttons to direct you to other pages and further information. This design was successful for the younger audience and had a high user engagement rate, but ages over 45 had a hard time navigating through the app. The older audience had preferred being able to type in the information - they struggled when it was too interactive. Since this app is being used for all ages, I decided to combine the feedback from the last two iterations to create the final design you see below. 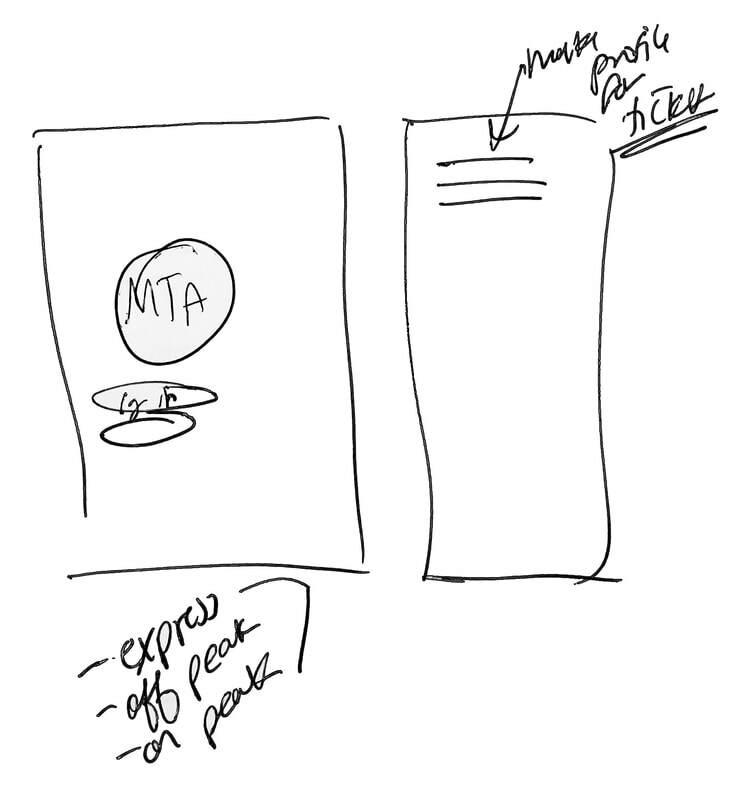 ​I used MTA LIRR's existing content to help in creating wireframes, the final sketches as well as put an emphasis on the new design solutions I had found. One of the main things I wanted to incorporate in the new design application was a better way to distinguish the MTA LIRR information with a cleaner User Interface to help newer users. I re-arranged the layout to make it easier to decipher the specific tracks, time of arrivals and additional information you would need to know in a short amount of time. You can easily find alert buttons on the tabs of the Train lines or you can click it on your interactive map! The alerts will create a push notification of that train station and inform you of delays and other updates. ​The new map feature is designed to help people locate the closest train station. As soon as you open the app it will indicate where you are and calculate your distance to the closest station. To get specific information on the station, you can click directly on the map's station which will create a down drop menu of information that is specific to that station. Each LIRR train line has a specific color, zone numbers, and name to indicate to the audience the towns that it will be stopping at. In the previous app, this information was not clear to the user. With the new user interface, I wanted to make that information more accessible. For the example, I used the Massapequa Park Station which is on the Babylon Line. The Babylon line is green, so I highlighted the Massapequa Park Station within a green header to indicate it is on the Babylon line. Within that header is the zone number and the option to star and alert this station. Another feature that I wanted to add was a live stream of the train. If you are at the station, it will tell you the train's location in real time - including how many stops away and when it is expected to arrive. The first/last stops on this line are Babylon and Penn Station. This page will appear to users when they want to know the train times going to and from Massapequa Park (before entering their end destination). You can toggle between the tabs only if you are interested in trains going to Penn Station or trains going to Babylon. One of the major issues that people discussed during interviews was the Select Date/Time page - the buttons on the page weren't clear to users. 7 out of 10 clicked the “now” button once they were finished placing their date and time, BUT this action resets the time to the current time. Most people had interpreted this as the final step after they put their time in; this is frustrating for the user since they will have to input their time once again, delaying the process. ​I wanted to design an easy way for people to interpret how to put in the times they desire. I created a simple Complete button at the bottom with the date and time you select below. It will be highlighted in blue to show the final date and time selected. After inputting both destinations, you will start to see more detail about the train you need and how long it will take you to get there. The information is clearer with the new layout and design compared to the previous application. In testing, people felt less overwhelmed by this layout than the current MTA LIRR Train Time app. A new feature that the MTA has created in the last year is MTA e-tickets. This is on a separate app that you must download. Since the current MTA LIRR Train Time app is not updated, it is very difficult to find this new app unless you knew about it beforehand. I wanted to incorporate a way to connect to the e-ticket app so people could directly buy their tickets with the time they want. With the new interface, I have highlighted a one-way ticket price with a button to indicate if you want to buy the ticket for that time. 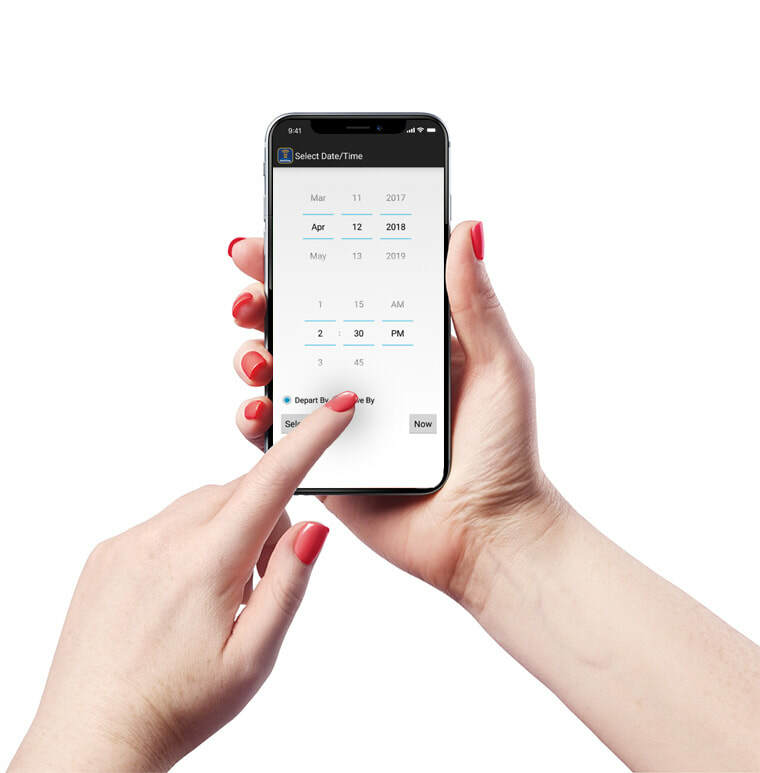 People will simply have to swipe on the bottom, which would re-direct them to the app and connect them to where they can buy the tickets. I started this project as a frustrated commuter wanting to improve upon the MTA LIRR service. My goal was to create design solutions for the app in hopes that it could fix those issues. However, after interviewing and finding different design solutions to these problems, I found myself wanting to incorporate more changes. There are so many ways to enhance this application to help make it easier and more enjoyable for users. Having traveled to over 15 countries, I've used all modes of transportation and countless apps to go along with it. Every time I return back to New York, I question why we haven't adapted to these new trends and ideas - especially when this is one of the most popular cities in the world. I want to expand more on this app with the hope of helping people travel on the LIRR with ease.